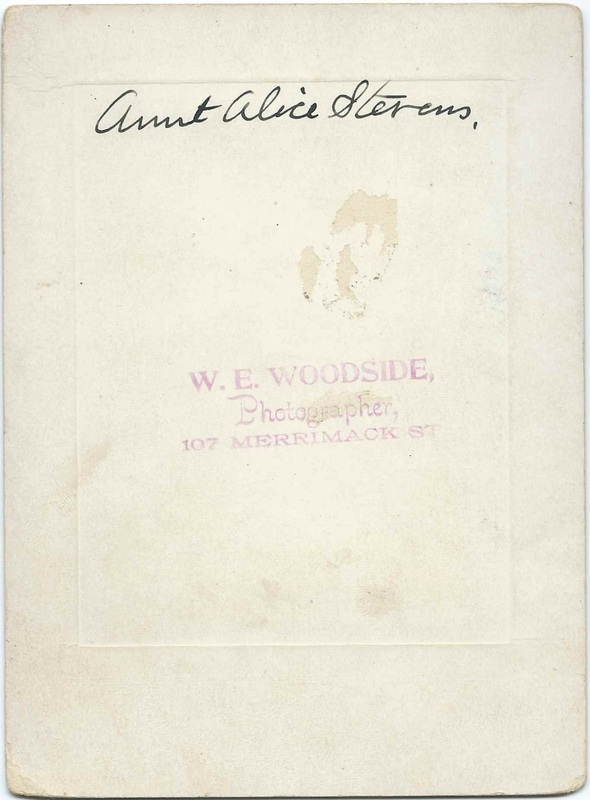 c1890 photograph of "Aunt" Alice Stevens; the photograph was taken at the William E. Woodside studio of 107 Merrimack Street, Lowell, Massachusetts. 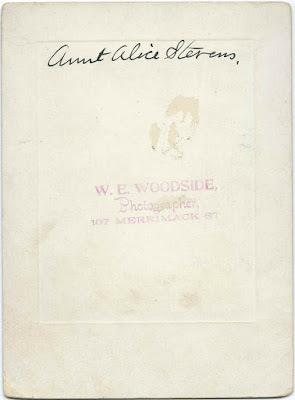 The Massachusetts Historical Society offers an online list of Massachusetts photographers; this list claims that Woodside was in business at Lowell, Massachusetts, from 1887 to 1893. 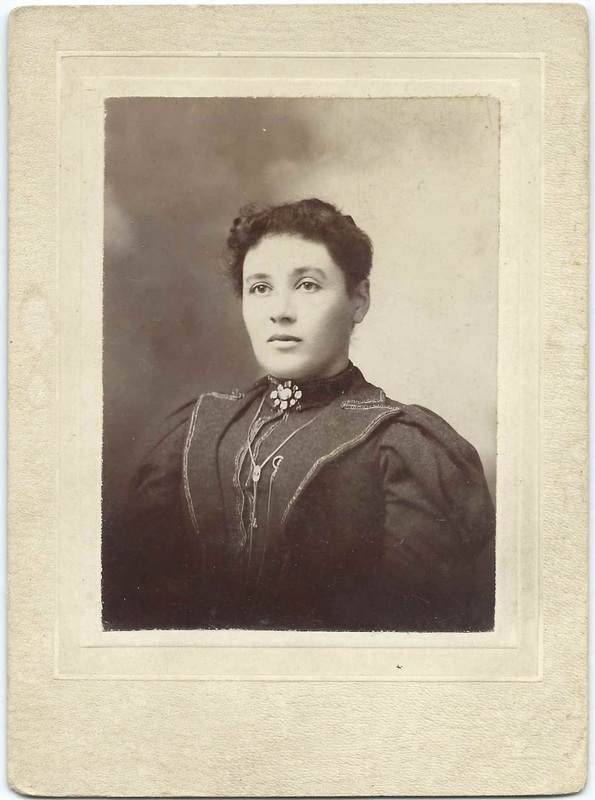 She may have been Alice H. Tucker, who married Frank E. Stevens in Vermont in 1871. That Alice was born about 1851 at Manchester, New Hampshire, the daughter of Charles Tucker and E. (Willoughby) Tucker. Frank was born in Vermont about 1851 the son of Jacob Stevens and Lavina (Lilly or Lillie) Stevens. In 1880, Alice and Frank were living at Thetford, Vermont, with son William, born about 1875. By 1900, Frank and Alice were living at Lowell, Massachusetts, where Frank was working as a watchmaker. Frank died in 1910, son William in 1925 and Alice in 1928. They're buried in the Evergreen Rest Cemetery at Thetford Hill, Vermont. If you have corrections and/or additions to the information above, or if you recognize Alice as someone else from your family photographs and research, please leave a comment or contact me directly.